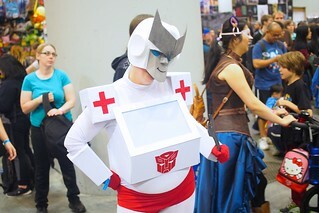 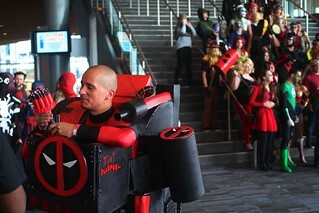 Waterfront—(April 3 to 5, 2015) The fourth annual Fan Expo Vancouver cosplay and comic book convention returned for another exciting go-round during this year's Easter long weekend. 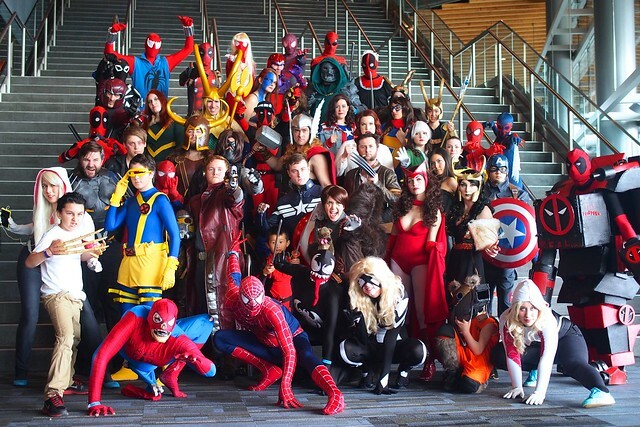 Bigger than ever, fans and followers packed the Vancouver Convention Centre West for three solid, consecutively geeked out days to dress up and meet their favourite actors, characters, creators, and artists. 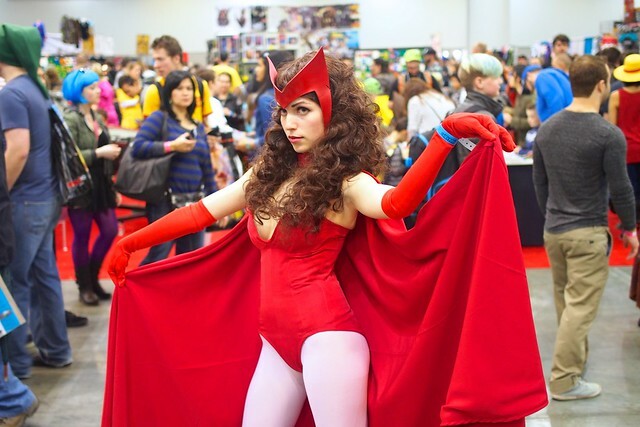 Cosplayer Lydia Tachkov dressed as the Scarlet Witch from X-Men and the Avengers. 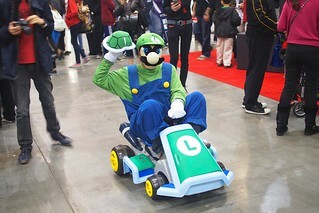 Ratchet, the ambulance Autobot from Transformers and Luigi driving his Mario Kart. 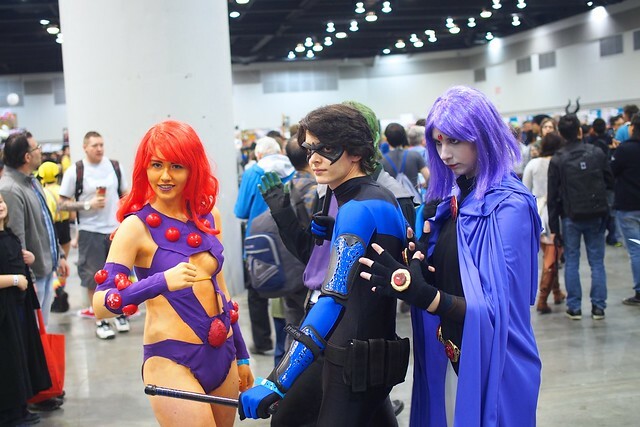 Starfire, Nightwing, and Raven from Teen Titans posing down and looking menacing. 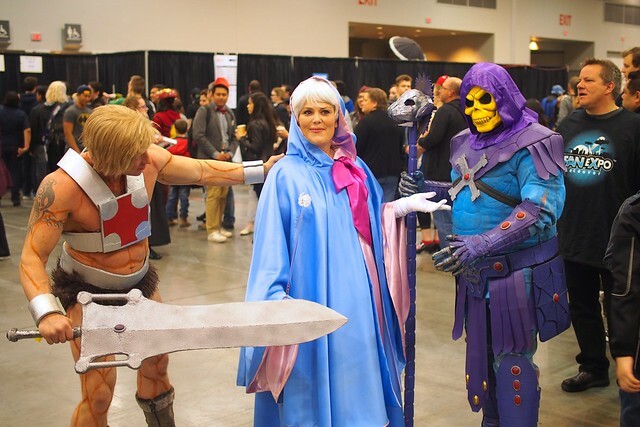 Disney/Cinderella's Fairy Godmother with He-Man and Skeletor from Masters of the Universe. 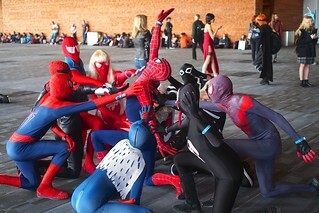 Cosplayer Rob Vargas taking a breath from his "Merc with a Mouth" persona and the many incarnations of Spider-Man doing some sort of interpretive dance (possibly rehearsing for a Spider-Man: Turn Off the Dark revival). 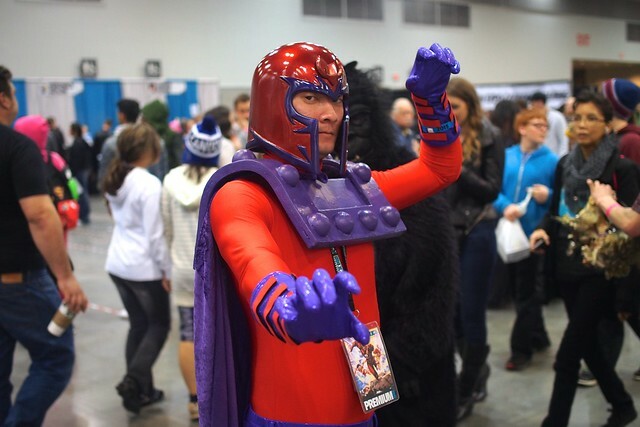 Magneto summoning his Brotherhood of Evil Mutants. 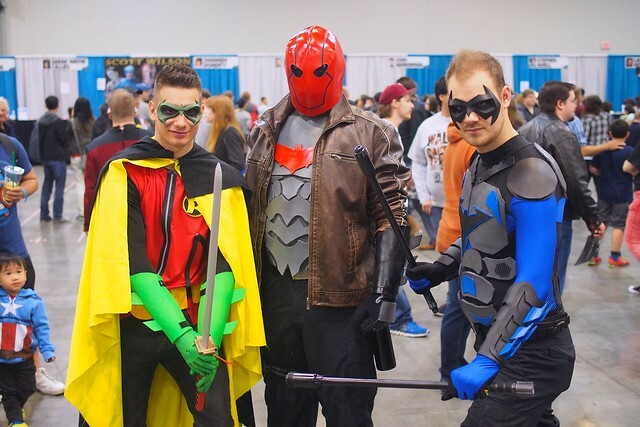 Robin, Red Hood, and Nightwing all looking for Batman. 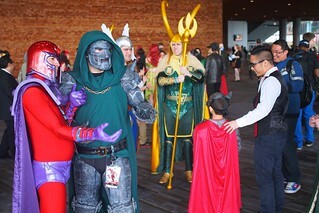 Magneto, Dr. Doom, Loki, and Starfire on the convention and showroom floor. 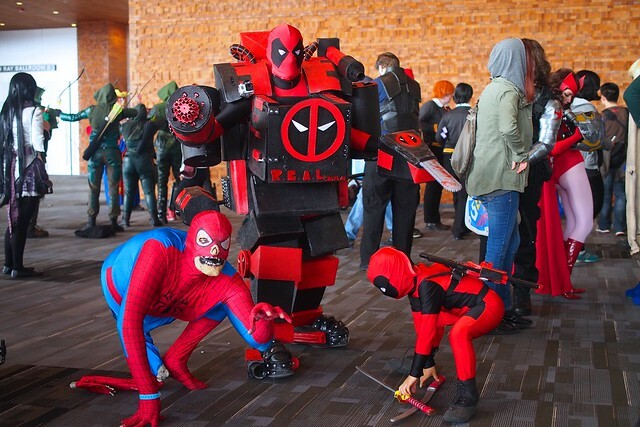 Deadpool and son with a zombie Spider-Man (reminiscent of Doppelgänger). 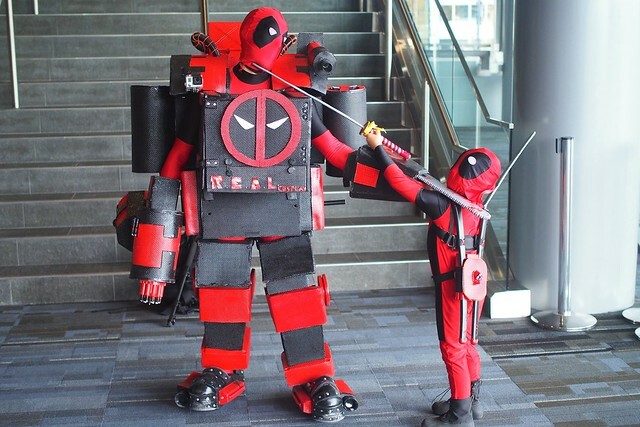 Coincidentally, Vancouver actor Ryan Reynolds is currently in town filming a movie version of Deadpool.